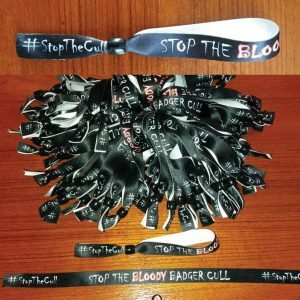 Stop the badger cull wristbands. Fabric wristbands with black plastic bead closure. Fits any size wrist. The wristbands cost £2 each plus postage and packing. All profits from the sale of these wristbands go to Somerset Against The Badger Cull to use for the protection of local badgers. How will the item/s be sent? – The band or bands will be sent in appropriate packaging to ensure that they reach you in perfect condition! Can the items be sent overseas? 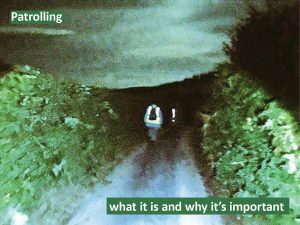 – Yes. We’ll work out the most appropriate method of selling and include the postage cost in the final price.